For a sector such as oil and gas, there are no ‘one-size-fits-all’ solutions when it comes to lighting. This is why CEAG’s specialist engineers always look at the bigger picture. We carefully consider clients’ requirements, alongside the environmental needs and unique challenges that come with oil and gas operations. We are experts in meeting the demands of organisations working in this hazardous industry. All of our products are rigorously tested and manufactured by precision engineering to meet the highest standards. We are proud to support our clients in gas and oil operations with comprehensive lighting solutions that ensure safety and productivity are paramount. Our products and services include explosion-proof equipment, innovative and creative fixes for specific lighting problems and complete solutions for operational areas, both on and off-shore. You can be assured of our attention to detail and expertise in providing your oil and gas operations with the lighting solution you need to get the job done. 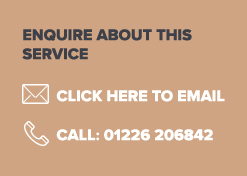 If you would like to know more about how CEAG can service your oil and gas lighting needs, please get in touch, either by email, to oilandgas@ceag.co.uk, or via the online form, using the button below. Our global clients in the oil and gas industry include B.O.C., African Oxygen, Craig International and J & R Gases.